Hey Chris, great advice! Nothing like not remembering one of your congregation to start a Sunday morning morning off on the wrong foot! Yikes! I often look for the “wandering eyes”, you know when they come through the doors and give the lobby the once over, not really sure what to next. Then I will approach them and simply say “Good Morning, welcome to Dunwoody Community Church.” They’ll either engage at that point or move on, but they have been warmly greeeted. Thanks for all you do. Looking forward to more videos. As always, your thoughts and experience are right on target, especially in this area. It’s important to for us to understand how insensitive we might come across when mean well and are simply trying to ascertain who a person is. In our church, where we don’t get too many visitors, there’s an easy tendency to pounce on the new folks (or “fresh meat”). I’m looking forward to the next video, and at some point sharing this collection with our Deacons (who comprise the role of Greeters on Sunday mornings.) Blessings on your continuing ministry! Great video, Chris. I recall the content from your book but being an visual and auditory learner it helps to hear it and see you as you present it. I’ve served as a greeter recently and put it into practice. Your suggestion is good but has also proved embaressing as I’ve forgotten names of those who remember me… lol. Looking forward to more videos and passing this along to others. Introducing oneself to the person walking in the door, whether guest or me4mber, is extremely important. “Good Morning, it’s nice to see you today.” is a good greeting also. Your substitute greeting is also a good one especially if you do not recognize the person. ALSO I think it is important that the same greeting NOT be used every Sunday with each person walking in the door. It could become very insincere sounding. Wal-Mart greeters have never asked me this question. Bea: great point — vary it. I think we need to give greeters permission to add their own personality. Welcome! I’m Rob Morrison. We’re glad to have you here. Keep it simple. The more pressure on the greeter, the more anxiety and uneasiness will be communicated. Chris, With your line, you better remember everyone that you have met. If you met someone but didn’t remember that person, you have made an even bigger faut pas by saying that “you didn’t believe you had met”. Why not just say your name and welcome or nice to see you. Why take a chance. I think in a large church, that may very well be the case. Thanks for coming out with this. I’m in charge of greeters and am finding it had to recruit people. Also, I’m not quite sure what kind of role they should have in the church. It seems that just standing at the door and saying hi is insincere and boring. Looking forward to your videos! Thank you for this video. We are in the process of “tweeking” our Hospitality Team. I look forward to hearing what has worked for others. I appreciate all of the positive comments and feedback you have received so far, but I would like to share some thoughts from a different perspective. I can fully empathize with you in the example you shared in the video. However, after 35 years in church work, I have found that there will always be some who are easily offended, no matter what you say. The lady in your illustration demonstrates the same spirit of the person who is offended when a visitor sits in “their” seat. It was your first church and you got “shot down” by a sister who should have been more mature and understanding. Her immaturity and easily offended feelings make her a poor candidate to be the deciding force in altering how to greet people you don’t know. I’m sure she did make you feel embarrassed, but that doesn’t mean you should avoid asking what I think is a very important question. In our church, we make a concerted effort to identify first time guests to make sure we can anticipate their needs (nursery, classes, restrooms, directions to the sanctuary, etc.). Not only that, but we have a special information folder with a gift specially prepared for first time guests. In a church of 750-800, our greeters often have to ask “Is this your first time here?” in order to identify these folks. Yes, sometimes we approach long-time members or regular visitors, but we rarely encounter someone with the attitude you described. I would hesitate to let this negative experience keep you from intentionally finding and engaging the first time guest. For every negative experience by an immature and “touchy” member, there will be scores of positive experiences by first time guests who appreciated being noticed and assisted. I had visited churches in the area that made it very clear that children were not welcome in the sanctuary. For me, that was not an option. I will never forget how welcome I felt knowing that my son was also welcome! every one so we recognize a visitor right away. Our greeting is “Good morning. Welcome to our church.” Then we proceed to introduce ourselves. I will never use “Hi, my name is —. I have not met you yet” It comes across as you are very important and the other person less important. I’ll wait till the other person says his name. Thanks for sharing your reaction to this substitution. I think what I’ll do is compile a list of possible phrases to help avoid the kind of embarrassment I caused. A great reminder to all of us about making sure that some of our greeting practices include children. Thanks all for the conversation. Keep it up. I haven’t been an “official” greeter in the churches I’ve been involved with, but I have made it a point to welcome new people to the church. I came up with a twist on your phrase, Chris, that’s worked quite well for me. I simply go up to the person(s) and say, “Hi, I don’t believe I’ve met you before, have I?” That gives them permission to tell me what their status is. They can correct me if I *have* met them previously (and I’ve never hsd anyone do that who wasn’t gracious about it), or they can tell me that they are newcomers. In any case, it empowers them to give me as much or as little information as they want, and I can gauge from their response if there’s anything I can do to help them be more comfortable. I’m working on training for greeters for our church and have gotten a lot of tips just from this segment. Looking forward to more helpful. It really seems to depend on the size of the congregation as to how you would approach people. What seems appropriate for a church of 100 may not be appropriate for a church of 1000. On the other side of that encouraging your greeters to pray before each church service may help them with using wisdom for each individual.Good information and good diverse comments. I agree with your assessment of those words. I like to say to people who I don’t know or who I can’t remember: “Hi, I’m Pastor Hill, have I met you before?” If the person has met me before, they remind me. Then, if they don’t say their name, I just respond, “and what’s your name?” Then I will repeat it to make sure I heard it correctly or ask “how do you spell that?” (if it isn’t a name like “Bob.” Most people appreciate the effort I make to remember their name. If possible, I will also try to immediately introduce the person to someone standing nearby. I like Micheal’s response from a larger church. If you have more than one service it is hard to know if a person is new or been there for some time. We are trying to improve our guest service ministry and appreciate all your comments. We are starting a training program for all greeters and look forward to the next videos. I’m sure we can use them in our training. Thanks so much and please remember this is all about reaching the lost. Our biggest embarrassment is when the greeter did not notice that the person they just greeted was here last week. We may have a different person each Sunday for the month. I agree 100% with Chris’ six most embarrassing words. I have made that mistake on more than one occasion. Generally, I now greet folks who look familiar but on whom I cannot pin a name with, “Good morning, I don’t recall if we have met, but my name is…..” That leaves the door open for “grace” whether or not I have met the person previously. I have recently assumed responsibility for our church’s assimilation process as part of our care ministries, so I am looking forward to learning from the experience and expertise of others. Thanks! I just listened to the first video, with curiosity about those six dreaded words. And then I gave myself a “high five” when I realized your “dreaded” words and the alternative suggested question were exactly what I’ve been telling our greeters who keep complaining that greeting could be embarrassing. Every time, they had been using your dreaded words and every time I give them “OUR” alternate question. Thanks! I’m the church administrator with a passion for doing greeting well and have recently been given oversight of getting us going in the right direction with training new recruits and encouraging them in the importance of this ministry. So I’m looking forward to your other videos. Also, consider taking the entire conversation down a different road and start with a sincere “Good morning! How are you today?” or “Hey there! It is good to see you tonight!” This way there is no need to bring up whether or not they have attended once, or twenty years, because as you continue the conversation chances are the person will supply all the information you wanted to know such as if this is new to them, if they need something, etc. Then be sure to ask, “So . . . is there anything I can do for you?” In other words, just make the conversation real. For people who can remember faces but not names, BE SURE to relate their face to someone else you know by name so that when you see them next time you’ll remember them. Then when you see them next time be honest and tell them you are bad at remembering names and ask them if they wouldn’t mind telling you their name again. If you’re honest with them about forgetting names, chances are they will appreciate your honesty and that you actually remembered them by face. It also tells them that you’re human and makes them feel welcome in a place where not everyone pretends to be perfect. Honesty always works. Just a thought because it works VERY well for me. It may not work for everyone. This video is great. Thanks for the tip. I look forward to the remaining videos. I’m getting ready to host a training meeting. I love your website and your heart to share training with others. I’m excited!. We use the same phrase you recommended. You are right on point that what we say could be the factor of someone’s decision to come back or not come back. Can’t wait for the next video. Thank you very much. Is there a way to download the video to show in a group training session? Very appropriate. same question as Dr. Mike pearson…is there a way to download the video to show to a group training/motivation session? when will more videos be available and how can we obtain them? Chris, I think the six worsds are even more embarrassing after you have been at the church awhile! After four years in my present congregation, I asked something similar, only to discover this was the senior pastor’s Mother! I too would like to be able to use these for my usher/greeter teams. You gave me a great laugh this morning. Happened to me before. The member gracefully corrected me though. Will not allow that to happen again. Can be embarrassing. Thank you Chris for those words, I am Debra and I am an Evangelist in training, in other words I am on a mission for God. We all were bought with a price, a purpose to fulfill. My goal, my desire is to please God!! To win souls for Christ!! And to faith to Jesus until death!! I write poetry for the Lord, I call them words of inspiration!! So I am looking forward to learning a better way of greeting people from you my brother Chris!! God Bless you!! Thanks Chris. Approx.6 months ago I volunteered to oversee the greeters and ushers at our church. I really did not know what my role would be. I found your web site and ordered “Church Greeters 101. I have thoroughly enjoyed the wealth of information and I’m quite excited about planning and doing our first training in March. This is excellent teaching and I look forward to the remaining videos. Chris I am enjoying the videos very much and learning that we have some of the same problems. I have learned by being in the parking lot that all it takes is a “Hello” or “Good Morning” with a genuine smile and sincere enthusiasm is a good start to a worshiper’s day. My daughter stopped attending our home church for this very reason. We had several new members to signed up for the Greeting Team. My daughter who had been attending regularly for about two years was asked five weeks in a row if she was a first time guest.She has not been back since! Ken: That’s another reason to have a regular training for new volunteers, even if it’s a short meeting to give some good practcies, or things to avoid. Ruby: Thanks for the feedback on the book. Many people tell me it’s practical. good first lesson, Chris. Some visitors don’t like being greeted by a chatty over the top extrovert; some just hope for a warm smile…and want to slip in unnoticed. Chris, you have been a great help to us on Anguilla, British West Indies. Thank you for your ideas on the Greeter Ministry. Our group is one month old and you have helped us to establish it quickly. Your video is interesting and informative. Your enthusiasm for this ministry is infectious. Our prayers are with you as you strive to help us better our practice. Thank you Pastor D and Rosena for your comments. I hope the following videos are just as helpful. I’ve got a few more to record to keep adding to the collection. I had situation where a new person that was fitting right in walked up to the “founding pastor” who had been ill for a number of weeks and asked if this was their first time! Quite funny! I couldn’t say “I haven’t met you yet” because sometimes I have met them, I just don’t remember meeting them. My best option that I use and teach is “How long have you been coming here [to this church]?” That leaves the door wide open for guests, returning former members, founding pastors, etc.! I was just asked tonight if I would take the position of Leading the greeters. I said yes but I did not know a lot about this position other than they stand at the door and greet the people. I went online and found your information and it is very informative. It has given me insight on what I can expect and what I need to accomplish. You presenting this information truthfully gives me great insight on what God wants in a greeter. Greeters are essential to retaining the interest of newcomers and treating the members the way God wants them to be treated with Love that he has given to all of us as his children. I am looking forward to learning more with the information I am receiving from you. I have the honor of creating a Team to Welcome everyone in to the house of the Lord with Love. Most of all introduce someone that may not know the Lord. Thank You. This is my first time and I will listen for the directions from the Lord. at my church, anyone can be a greeter since i get to church early along with two are three more people we greet others as they come in with a big smile and a big hug to weclome them there. Do you have this great video with subtitles in Spanish language? If hugs are appropriate in your culture, particularly between strangers, then by all means celebrate. Where I live, that would be frowned upon. Hugs between friends – no problem. Hugs between strangers – big problems. Noemi – I don’t have these greeter training videos subtitled in Spanish, but you have given me an idea. Estaremos en contacto. Great Tip, So true so many time I have seen this happen when someone ask is this your first time and they answer no. I’m finding out that just because we have never seen them before doesn’t mean it their first time because we could have not been there we they visited for the first time. Thank you so much for taking the time to engage in this important ministry. We often forget that hospitality can be a huge tool for evangelism. Even poor body language can be both insulting and cause problems for the church. We lost one young man at our church just because a question was asked in an insulting way. Please keep these videos coming. I am the secretary at our church I recently took on the role of recruiting greeter volunteers for our church of about 100+ members. I am trying to schedule turns out in advance. If all goes well then each pair of people should only have to serve once or twice a year. I think it is an opportunity for them to get to know others in our congregation. They will also be more apt to recognize a newcomer since most of them have been members for quite some time. I have been here a year and I still don’t know everybody but they definitely know me. That is just the way it goes when people aren’t active in serving the church in some way. In my situation I regularly see people’s names on our mailing list or database but I often can’t put a face to the name because I haven’t interacted with them in some way. I also try to sit in different areas of the sanctuary to “mix” things up a bit. Sometimes this disturbs people’s “seating arrangements” because I may be sitting in “their pew”. Oh well, God didn’t mean for us to get in a rut and be comfortable. He wants us uncomfortable and moving and interacting to further His kingdom. While greeters are the first impression members are the second impression so everyone needs to do their part to make newcomers feel welcomed and recognized. Thank you so very much as we are just starting up. I hope to continue our interactions as we grow. Thanks you for making this much-needed tool available to our church. We are in desperate need of upgrading our greeter ministry and your resources are very promising. As a Greeter Ministry Leader, I have regular meetings with my Greeters and go over information that I receive from you. I have the men at the Front door to assist those out of the cars that need assist and into our Church. The ladies I have by the inside doors to pass bulletin and greet. I encourage them also to greet our members as well and to learn them by name so they can recognize the guest we may have. Thanks for all the info you send me, it really helps.. I and a couple others have been tasked by our pastor with revamping /restarting a greeting ministry in a large Catholic parish (>3000 families). I have discovered your informational website and have read the church greeters 101 and will be ordering your church greeter training tool. Do you or others have any special tips to offer to a large congregation (more than 500 per service). Beautiful video, very helpful. We are starting a new church and we need greeters as well as train ourselves as recruiters and greeter trainers. Please send us ideas. I have just joined your Church Greeter site, and already I’ve learned so much. Thank You so much. I want to get some of your literature and try it with some of the greeters I’m having to see if they really want to greet or is there is another agenda they are seeking before I comment. Wow. very good. I asked that question;”Is this your first time here? and thank God now I know that this should not be asked and there is better way or conversation in greeting people before they enter in the church. Thank you. Great tip its very necessary for leader in the church or any kind of occasion may be. I am researching so as to set up a ushering ministry within my church. What I read on your blog was interesting that I ordered your book. Thanks a million. We say something like, “I don’t think I’ve met you before. My name is._________. Then we encourage them to fill out a visitor card so they can get the monthly newsletter sent to them. It seems to feel quite comfortable, and not pushy. Newcomers often don’t want to be rushed into anything! Starting a new greeter team. I have been through training in the past, but need some reminders to get this new team started. Great video. I look forward to watching more. We are in the process of combining our Greeter Ministry and Ushering. We are a small neighborhood church and are striving to be more friendly and welcoming! We have our first training this week. Your videos and book have proved to be a great source of info. Thanks you. 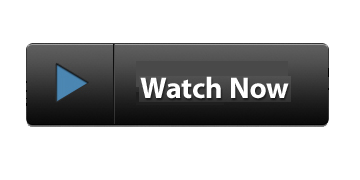 Thanks, for the great idea on how to find out is a person a first time visitor…. Love it! Great information!! Im really excited about getting to read the book soon as well!! You spoke on the six most embarrassing words, which i agree with, but my question is if they are a first time guests, do you still approach them the same way? Is there a question you can ask to make sure they are taken care of and shown around the place? Welcome aboard. You’ll get a few more videos over the coming days. No rush to watch them all. When I approach people I don’t know, I usually take an approach like the one I mention on the video. I usually learn from their own self-disclosure that it’s their first time and then adjust my conversation appropriately. If I learn they are a repeat visitor, or visiting from another service, then I head in a different direction. Point is, I take the initiative to meet someone I don’t know and try to break the ice conversationally. I just bought and read your book today from Amazon. I am starting a greeting ministry for a bigger than small two-campus church which inexplicably does not have a greeting ministry. The information in the book will be a huge help. I do have a complaint as a consumer of your book. For such a narrow subject area, I thought I would get all you know on the subject for my ten bucks. Instead it appears I need to purchase a second book for 17 dollars to get all you know about greeting. I appreciate the free videos and wonder if there is a way to get all 10 sooner. We have been advertising for greeters for 4 weekends now and our kick off information meeting is this Sunday. I have never even been a greeter myself and need to learn all I can by Sunday morning. I’m hoping some of our fresh volunteers have good experience to share with the others. I volunteered for this because I found it intolerable that an otherwise excellent church of this size operates without a greeting ministry. Thanks for stopping by and availing yourself of the free videos that I make. At this moment, you cannot receive them all at once. They will come every three days by email. I don’t have a handy list available of the 10 free videos. My book will never live up to the expectation of “everything I know” because I keep learning. There is more information in my other products, all of which reflects my continued learning on the subject. I find new ways, new ideas, gaps in the information, and I’m working on another book that looks at the fuller picture of church hospitality, not just the greeter ministry. Church Greeters 101 is fixed in a point of time and focused on organizing a greeting ministry. It is not meant to cover everything about welcome and church hospitality. That’s a large field with lots of authors. Pastor, the video is very helpful. They are the exact words that we use when we are doing the welcoming. What I usually say when I am greeting is welcome to Greater Manifestation Worship and Praise Ministies enjoy the service, or good morning its good to see you. Thank You Chris, I like to introduce myself and let them know I am still trying to get to know the people of the church and have a hard time remembering names. I’ll often ask them if they’ve been coming there for long? I have not seen people offended by this approach. I’ve also learned it is better to ask them 20 times than to avoid them because I forgot the name. Thank You again for all of your great advice, I look forward to using it for the Lord! Hi Chris, everything that is mentioned in the contents of your book Church Greeters 101 is what I am experiencing my Church. I look forward to ordering your book . Thank you for your advise. Your welcome. I’ve updated Church Greeters 101 from the first version, adding more experiences, stories, and principles learned since I first wrote it in 2008. If you choose to order it and read it, you can get a free coaching hour from me as a bonus (true for every buyer), within 30 days of your purchase. I love to help groups think through their ministry. Yes Chris, I think the latest version of your book will be best as principles and rules are always changing. Pastor, I truly appreciate all the assistance you are willing to give to my new congregation. I can surely identify with the embarrassing moments in greeting. I look forward to all the training to come. Thank you! My name is Cocee and I’m the President of the Greeter’s Ministry. As newbie in a leadership position, I’m faced with many challenges when it comes to our ministry. I’m looking forward to purchasing your book “ Church Greeters 101” and utilizing the videos to spiritually uplift this ministry. Hi Chris. I’m very interested in learning more about church greeters. I plan to buy your book, Church Greeters 101, soon, but how can I know which is the latest edition as I am buying online? Our church is just getting started and our pastor has expressed interest in a hospitality ministry in conjunction with our coffee bar of which I head. I’ve never been a greeter before, but I have been made aware of newcomers being turned out of the church by something some insensitive person may have said to them – I don’t want to make the same mistakes. When I meet an unfamiliar face in church, I usually greet them with, ‘Good Morning! It’s good to have here in God’s house this morning. Please come again! Anyway, I look forward to seeing your video teacher and learning more of your Greeting Techniques. Thank You for sharing, Chris! God bless. 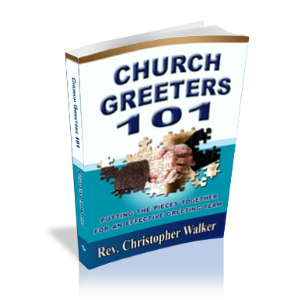 Church Greeters 101 on Amazon is the most recent version. Welcome to this new ministry! You’ll have a whole lot of fun doing it! Thank you Chris for the video. I go to a small church ministry. I can say we are only very small having just started not too long ago but we will be celebrating our one year this coming August. When we started there were two male members who served as ushers but I never really noticed if they greeted visitors as I was new. I do not know what happened bu the two never attend the church regularly leaving us without any greeter or usher. This has gone on for two months. No one at the door to greet anybody. One regular volunteered to assist in communion and offering. I volunteered to be an usher but had no training. I also served as their greeter. The Pastors (husband and wife) just briefly told me on what I am to do. I was doing like what was in the video. But I am confused. My pastors say I am an usher but I think I need to be trained . I’m glad you signed up for the video series. That will help. In a small church ministry, there really isn’t need to distinguish between greeters and ushers. All need to have that undefinable quality of friendliness and attentiveness to visitors. Informative and much needed information. Greatful for this wonderful resource!!!!! You are welcome. Thanks for stopping by. I invite you to email questions that future videos raise. I’d love to create more helpful videos for you. love this I really think these will help my church. I am a senior pastor of Rivers of Hope Ministries in South Africa, I was looking for material to train the ushers in the church and came across your material. I looking forward to seeing and working on it. We have a parking ministry that identifies first time visitors. We have a sign that simply says “If you are visiting for the first time, please flash your lights.” When they flash their lights they are directed to parking spaces designated for first time guests. The parking team team notifies the Lead greeter for that service, by walkie talkie, and they go out and meet them and bring them in a quick tour. This has been very effective for us. I have watched a few of your videos and they are quite helpful. Thank you! Hello my name is Tonya and your name is.. I’m glad you came and hope you come again. We have a new pastor and recently started tracking our visitors in a database. We started a welcome ministry and are currently recruiting greeter volunteers. We have experienced these embarrassing words straight out the gate. What we came up with is similar to your video. “Have we met? or I don’t believe we’ve met. My name is….” Also, we have visitor cards for our visitors to fill in and so we can get to know them better and keep in touch. We like to have every first-time visitor as well as visitors who have been a way for a long time, fill out one of these cards for our new database. We came up with the phrases “have you been here since Dr. Lee became preacher?” or “have you been here this year?” or “have you filled out one of our NEW visitor cards?” We have seen great results and are looking forward to learning and growing in this ministry. It is such a blessing. thank you for helping. Hi Chris, I think this is a great video to share with my team. I was wondering if there is a version of it that doesn’t have the opening comments about ‘sharing your email, etc’ and starts right off with the training. I thought it would be more team friendly as I’m the only one that is receiving your email (for my team) and I don’t want them to be confused. Thanks so much. Your book ‘Church Greeters 101’ is an awesome resource and one of the best I found for present day greeting and ushering teams. Thanks for providing this resource. That comment has been used at our church in times passed. It will be discontinued. i’ve grown out of using it myself. It helps reduce the friction, particluarly in where a church has multiple services. These are awesome suggestions. Thanks for sharing them. I’ve been away for a few weeks, and thus been a little slow to reply to comments. This was a great tip. We really needed this tip for our hospitality training in church, where few people know how to approach guests without embarrassing themselves . We just started our greeting team, so we look forward to your tips. I personally noticed that in the hospitality business, asking if someone is a first time visitor is usually not a problem, but guests feel offended when you ask this in a church. In the end of my conversation with guests, I usually end by thanking them for visiting our church and look forward seeing them again. We are a church of about 600 and it is very exciting to see new faces. We also use the line, “Hi, I’m __________, I don’t believe, I’ve met you yet.” I look forward to the videos. HI. Our church has 2 campuses. I am Team Leader over The Welcome Team (greeters), at 1 campus and now interim leadership for the month of December to revamp the 2nd campus. We too had an embarrassing moment when someone came and a team member greeted them and asked “is this your first time” and he lit into her yelling saying it was not. As he continued walking we said “we hope you enjoy service today”. I then prayed about an alternative. Now, there are some people that come into church and they have more confident personalities that will march in and you might mistake them as someone who knows where they are going when indeed they don’t. You have to watch for that. There are others who will come in with the “all wandering eyes” looking for where to go. Our church has 3 entrances as well so that puts a whole other spin on the welcome. Prayerfully, I have implemented that our team say “Good morning” and if we discern they are new or its obvious, our follow- up is ” May we help you find someone or something?” In a larger church I have found, a wife may be waiting on her husband to park the car in fact they are new. If they are not new, I follow THAT but introducing myself and saying with our church growing I don’t know everyone. Please to meet you today. I received some of your videos before, but was inactive for a while. Would like to start receiving them again. They are great training tools. Hazel, I’ve sent you the entire list. through the information i have read through your e-mail. i am convince that i am in the right place for information on my ministry. thanks and God will continue to increase you all in all expect of life. Thank you for sharing your insight and tips. It never dawned on me what these six words “Is this your first time here?” can impact a visitor or an old timer in the church. I have made this mistake asking this question. Thank God it is not too late to learn and change! I look forward to watching the upcoming videos and see how God is going to lead me and a sister to draft a proposal to the Hospitality Director to incorporate the Greeters Ministry in our church. 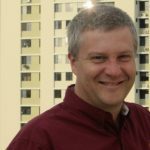 Hi Chris – currently developing training material for my parish, St Helen’s Catholic Church in Burnaby, BC and would love to know what’s worked and what doesn’t. I look forward to the free videos and to get to know you and your ministry more. I’m glad. Based on what other people are discovering, this should be a great series for you. I’m looking forward to sending you the series so you all can improve that welcome home experience. Greetings Chris, thanks for your commitment to help the body of Christ to serve better. I like the line, “Hi, I’m __________, I don’t believe, I’ve met you yet.” I look forward to the videos. Just became leader of our Welcoming ministry. Great information. Looking forward to the next one. Thank you. An eye opener. I never thought how disappointed someone can feel if they have been attending for a while, it can insinuate that they are “invisible”. We say to all our parishioners old and new , “Good Morning , Welcome , It’s good to see you “, and at the end of services we say “Bye – Bye God Bless You , have a great day , Hope to see you next week , we get a great response , and we always see new faces.